We all know very well that the relationship of brands with their customers is not always a simple matter to deal with. According to the latest reports, the well-known Chinese smartphone manufacturer Xiaomi deletes Twitter poll after Android One wins over the well-known MIUI. The relationship of brands with their customers is not always a simple matter to deal with. Many do not admit that they show dislike for some decisions or they show flaws in their equipment. A simple inquiry by the well-known Chinese smartphone manufacturer Xiaomi turned out to be out of character for the Chinese brand and eventually erased without any reason or justification. The Chinese smartphone manufacturer Xiaomi has always been a very open and responsive brand to its customers, their opinions and their ideas. Often, consult them to know what direction to give their equipment or MIUI. 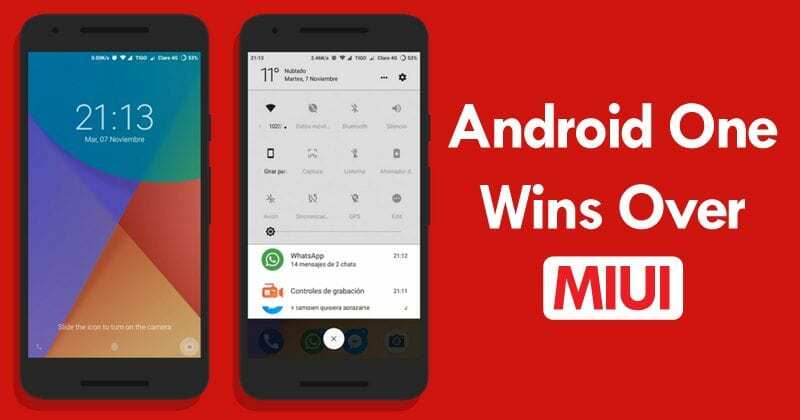 This time, in a simple survey that asked users whether they preferred MIUI or Android One, the answers were barely received. When Android One defeated MIUI by an already comfortable margin, the publication was deleted from Twitter and disappeared. As it is normal on the Internet, several users have taken pictures of the publication, moments before it was removed and published immediately to account for the less noble attitude of Xiaomi. As you can see, the advantage of Android One was already interesting, with this system 57% and MIUI 43%, still more in a situation that involved the UI of Xiaomi itself. It was with the Xiaomi Mi A1 that the Android One reached the customers of the Chinese brand and, from what has been seen, this is already a true case of success of the brand, unlike the twin model, the Mi 5X, whose sales do not seem to impress the market. It is not clear what led Xiaomi to take this position, but everything points to the expected end result, which was already taking shape. This attitude, of course, fell ill to customers and fans of the brand, which immediately showed their displeasure.